Scandal: A major-league pitcher was indicted for lying to Congress about steroid use. Administration memos show Eric Holder lied about what he knew about Fast and Furious and when he knew it. What's the difference? Somewhere, Scooter Libby must be scratching his head. He was indicted and convicted simply because his recall of when a meeting occurred differed from others. He didn't lie about a gun-running operation that led to the deaths of two American agents and at least 200 Mexicans. But Attorney General Eric Holder did, according to memos obtained by CBS News and Fox News. They show Holder lied to Congress on May 2, 2011, when he was asked about when he knew about the Bureau of Alcohol, Tobacco, Firearms and Explosives' Fast and Furious gun-running operation. He told House Oversight Committee Chairman Darrell Issa he was "not sure of the exact date, but I probably learned about Fast and Furious over the last few weeks." Holder learned of the operation as early as July 2010 in a memo from the director of the National Drug Intelligence Center informing him of an operation run by the Organized Crime Drug Enforcement Task Force out of the Phoenix ATF office, under which "straw purchasers are responsible for the purchase of 1,500 firearms that were then supplied to Mexican drug cartels." 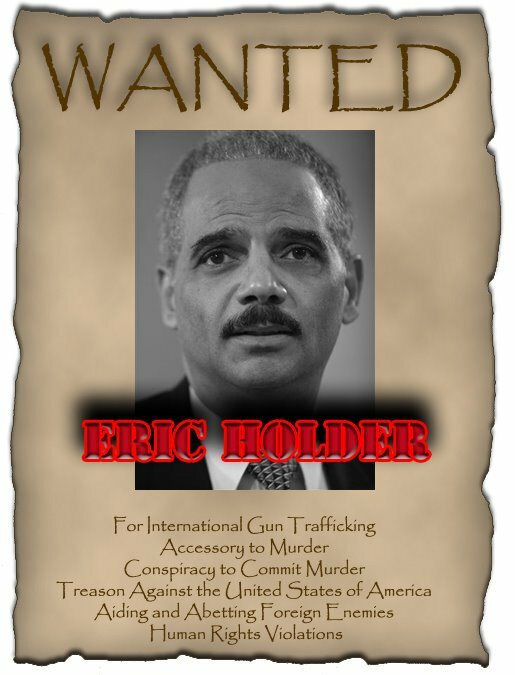 On Oct. 18, 2010, one of Holder's chief deputies, Lanny Breuer, chief of the Justice Department's Criminal Division, told Holder in a memo that prosecutors were ready to issue indictments of a few gun traffickers involved in Fast and Furious. A memo the day before from Deputy Attorney General Jason Weinstein to another lawyer in the Criminal Division, James Trusty, asked if Breuer should do a press conference when Fast and Furious became known. "It's a tricky case," Weinstein wrote, "considering the number of guns that have walked." Trusty replied, "It's not going to be any big surprise that a bunch of guns are being used in MX (Mexico), so I'm not so sure how much grief we'll get for 'gun walking.'" Fast and Furious became known two months later when Border Patrol Agent Brian Terry was killed at the hands of an illegal immigrant working for the Sinaloa cartel just 10 miles from the Mexico border near Nogales, Ariz. Guns found at the scene were traced to Fast and Furious. In addition to Terry, Immigration Customs Enforcement Agent Jaime Zapata was killed in a separate incident by a weapon allowed to "walk" into Mexico from the U.S.
Holder, quite simply, has lied to Congress, although the defense now being offered is he didn't understand Issa's question, doesn't read all the memos sent to him or was otherwise out of the loop. It is perhaps the first time incompetence has been offered as a defense to possible charges of criminality. ATF agent testimony, last Friday's document dump, communications between National Security council staffers and the ATF, and now this demonstrate that Holder and the White House knew that guns were deliberately being allowed to "walk" into the hands of murderous Mexican drug cartels. As Issa told radio talk show host Laura Ingraham last month: "We have a paper trail of so many people knowing that the only way the attorney general didn't know is he made sure he didn't want to know. ... But if you don't want to know something of this sort, then you shouldn't have the job he has." We'd go a step further. Baseball star Roger Clemens was equally vehement when he told a House committee in 2008: "Let me be clear. I have never taken steroids or HGH." Clemens was indicted for lying to Congress. The same should go for Eric Holder.